Between the seventeenth and nineteenth centuries Europe underwent a psychoactive revolution that had a profound and lasting impact on how people experienced, used, perceived, and policed urban public spaces. ‘Intoxicating Spaces’ recovers this momentous history by exploring the traffic and consumption of tobacco, coffee, tea, sugar, cocoa, and opium in the four metropoles of Amsterdam, Hamburg, London and Stockholm between c. 1600 and 1850. 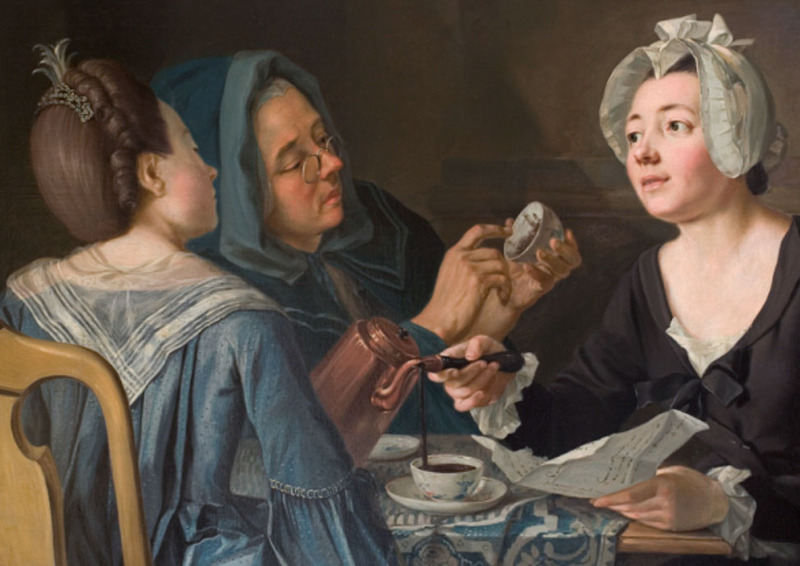 Image, detail from: Pehr Hilleström, Three Women Telling Fortune in Coffee, 1780s (Stockholms universitets konstsamling, J. A. Berg Collection #158). Reproduced with permission. Consulting a host of different archives and closely collaborating with schools, museums, drug prevention units and a United Nations programme, it brings a timely and urgently required perspective on intoxicants and the politics of inclusion and exclusion in contemporary Europe. Funded by the Humanities in the European Research Area (HERA) programme ‘Public Spaces: Culture and Integration in Europe’.